Karin’s Teaching Session is no longer active. You can learn more by sampling Karin’s Art Guidance online process; just click the image to the left. 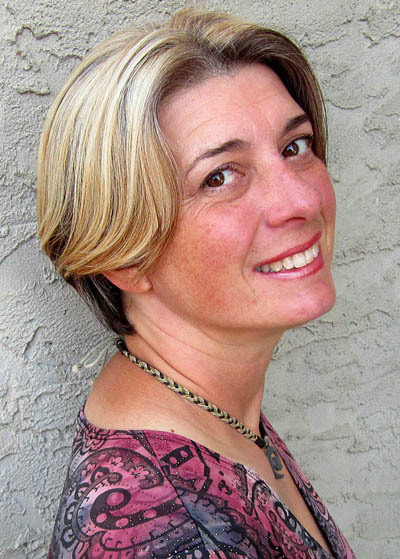 Karin Bauer, BSW, RSW is a registered Social Worker, Life Coach, author, facilitator, artist, and healer. Karin has over 25 years of counseling and life coaching experience working for agencies and in private practice. Her Equine Facilitated counseling practice is called ‘Horse Journey’, which she owns and operates in Kelowna, B.C., Canada. In Karin’s practice, she compassionately helps clients with PTSD, depression, substance abuse, relationship and communication issues. As Karin also has a background in Early Childhood Education, she is often referred youth diagnosed with Autism. As a life long equestrian, horse owner, trainer, instructor and trail rider, Karin’s own horse journey came full circle when she discovered Equine Facilitated Therapy as a healing modality. Karin found her niche when her two trusted trail partners, Tennessee Walking Horses “Link and Rollie” also became her counseling partners. As a team, they joined up in their effort to comfort and guide clients together. Karin is an accomplished artist and author. 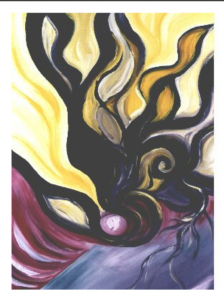 In 2002 she published her unique and powerful “Art Guidance Cards”, which she effectively utilizes in client sessions. Karin has taught other Counsellors and Life Coaches how to integrate this modality into their client sessions, either in their offices, or in Equine sessions out in the corral. Karin utilizes these cards in coaching sessions as a way to help clients change their perspectives, break through barriers and eliminate stuckness. The “Art Guidance Cards”, “Inner Guidance Journals” and original artworks are available on Karin’s website for purchase. When not working in the corral, you can usually find Karin either trail riding, camping with her horses, mountain biking, meditating, or creating in her art studio. Karin lives with her long time partner, two cats and horses in the countryside of Kelowna, B.C. Karin welcomes any inquires and enjoys making new connections.